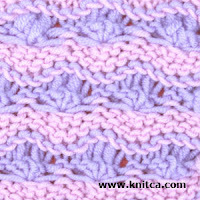 knitca: Two color slip stitch pattern with amazing texture. 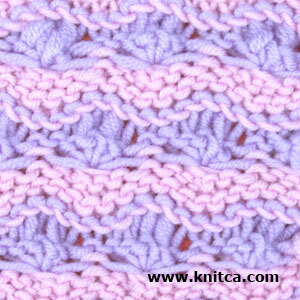 Two color slip stitch pattern with amazing texture. 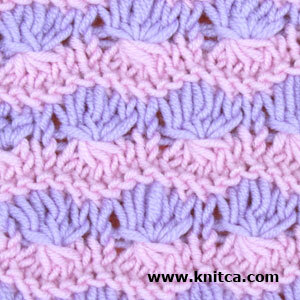 Here's another addition to my stitch pattern library. 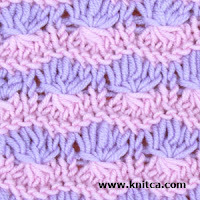 I saw this pattern in one old knitting magazine and knew right away I should try it out. This pattern is not as easy as the patterns in my previous posts, it's more like a puzzle - you have to properly fit pieces (rows) to see the result (texture). It would look awesome as a detail or an all-over pattern of any garment. Besides, it can't be reproduced by a knitting machine so your creation will definitely be one-of-a-kind. Needles: US size 6 (4 mm).